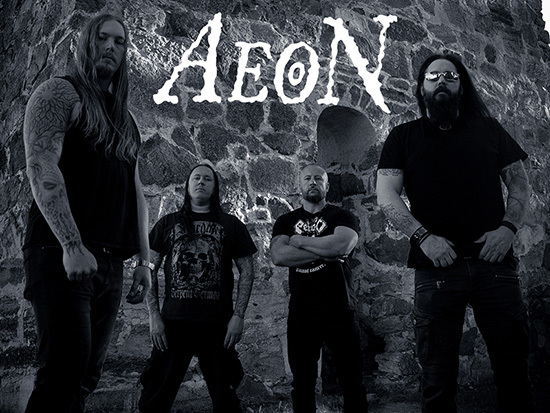 Swedish Death Metallers AEON to unleash fourth full-length album ‘Aeons Black’! Details and first single revealed! Swedish death metal overlords, AEON, are pleased to unveil the details of their fourth studio offering , Aeons Black. Set to drop via Metal Blade Records on November 16, 2012, the mammoth 15-track Aeons Black was recorded at Empire Studio in Östersund, Sweden, engineered, mixed and mastered by Ronnie Björnström (Garageland Studios) and features cover art by Kristian “Necrolord” Wåhlin (Bathory, At The Gates, Dissection, Emperor et al).